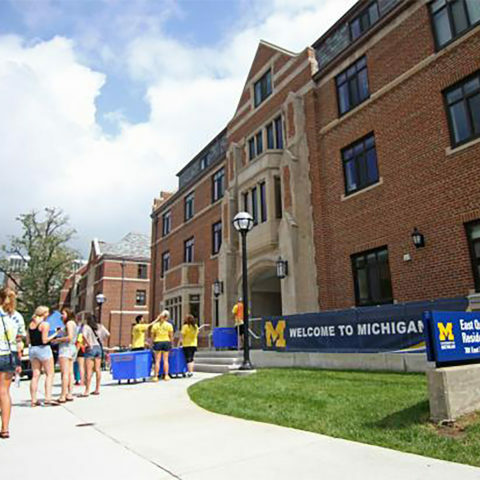 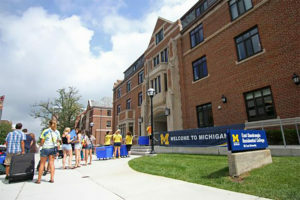 The University of Michigan East Quadrangle (East Quad) is home to nearly 900 students, a 430-seat dining hall, and the school’s residential college. 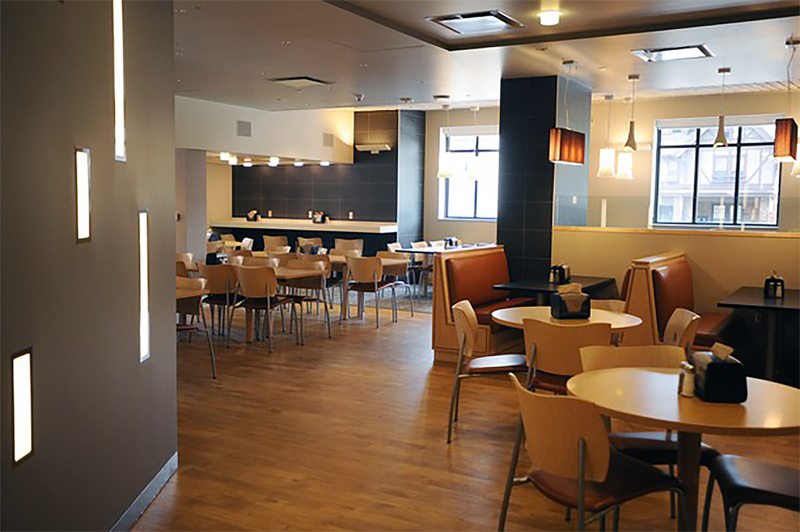 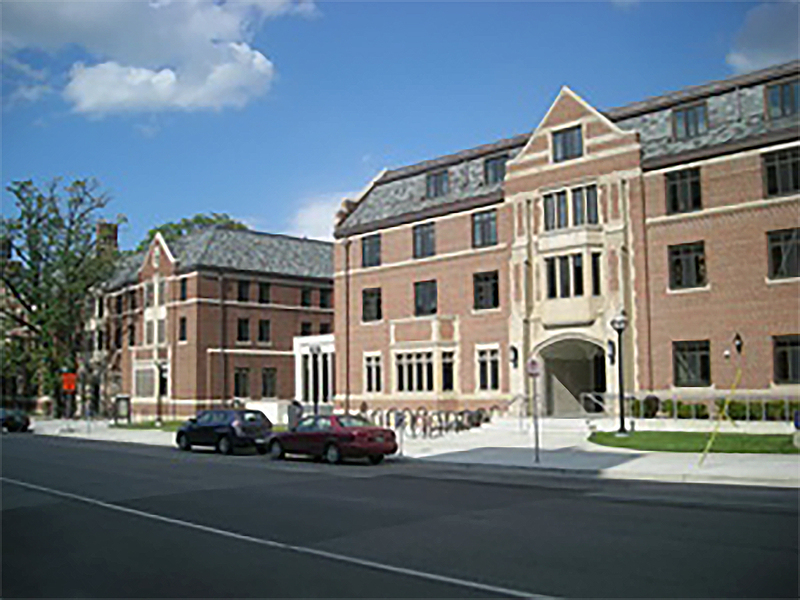 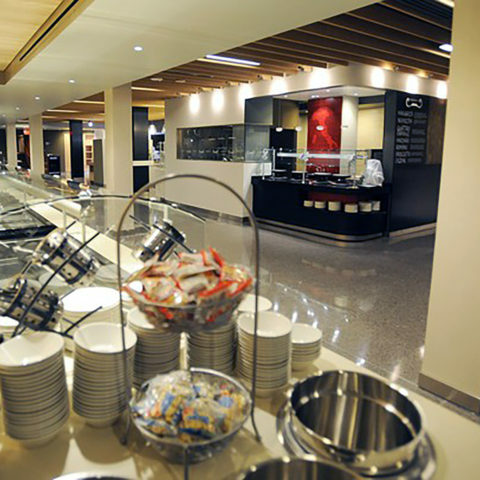 In 2012-2013 the college undertook a $116 million renovation. 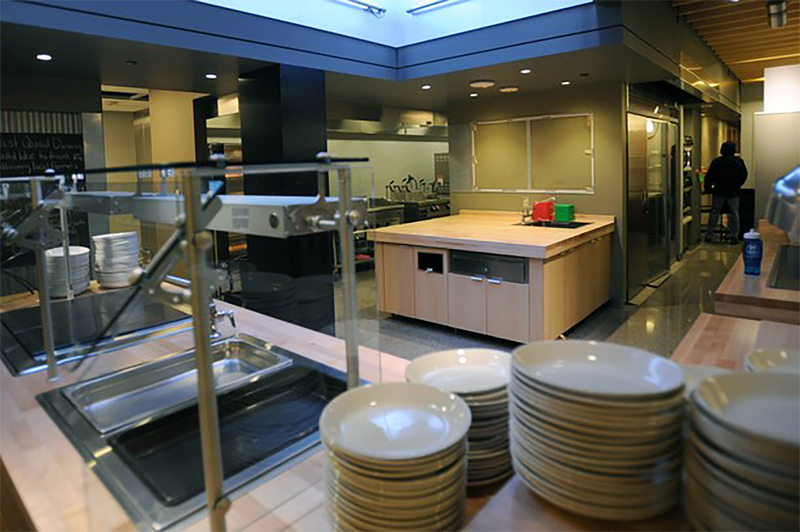 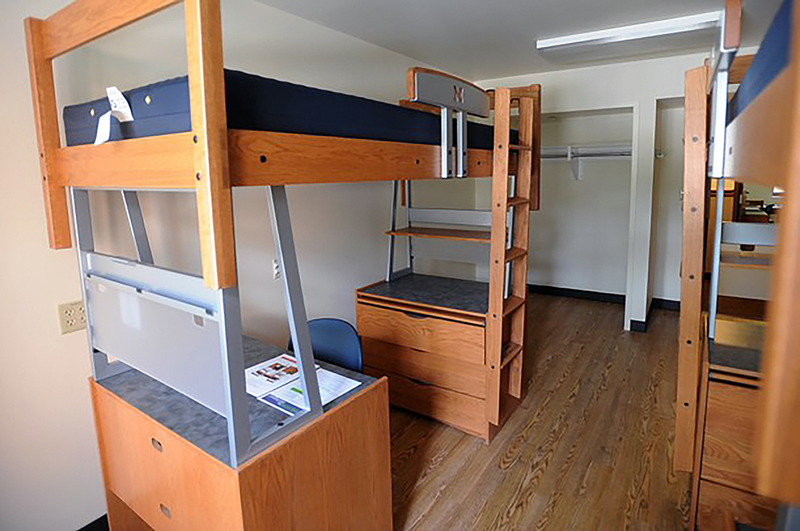 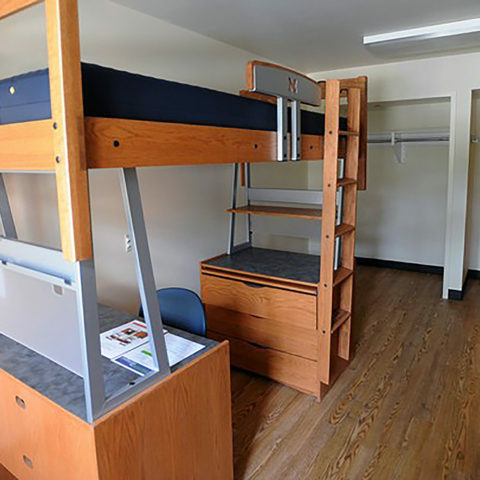 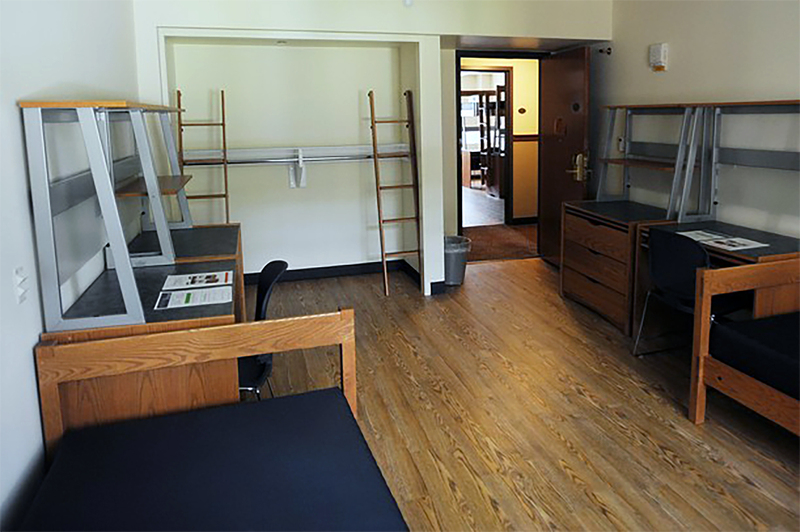 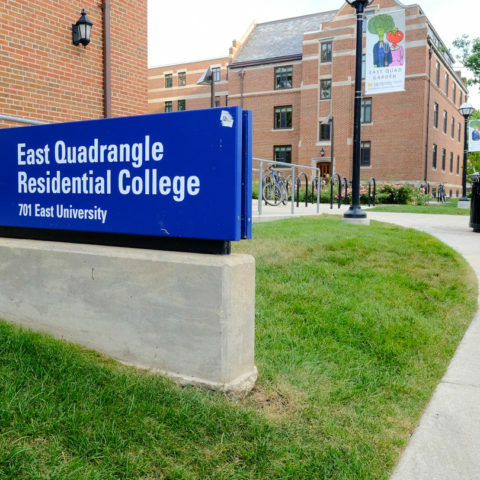 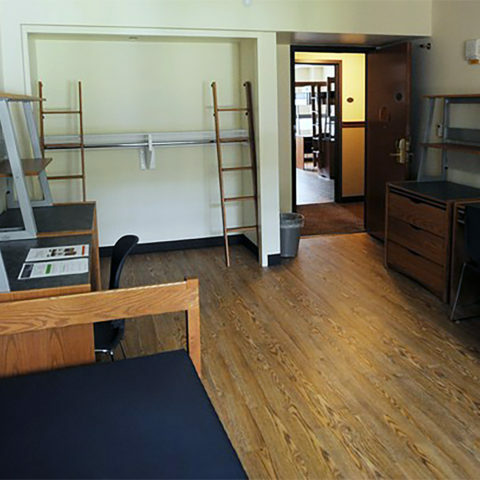 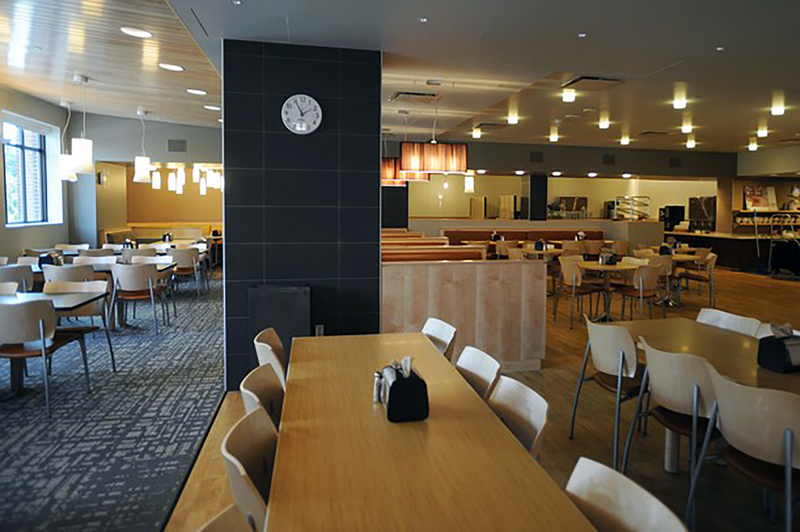 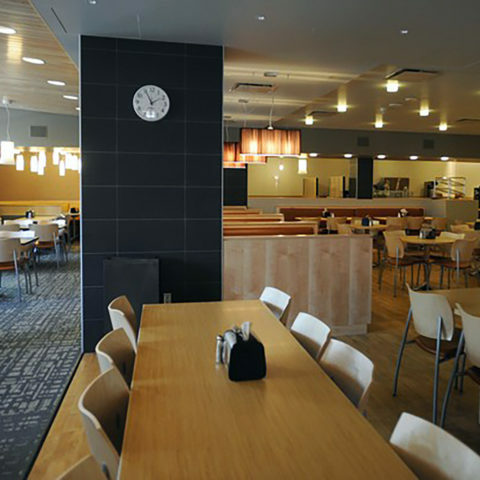 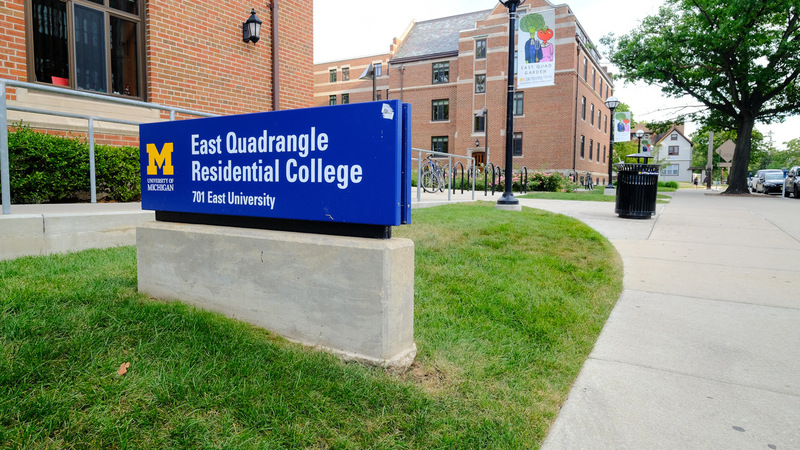 In addition, U-M spent $3.3 million to furnish East Quad’s student rooms, cafeteria, common rooms and 15 classrooms and studios — including a darkroom and a pottery studio. 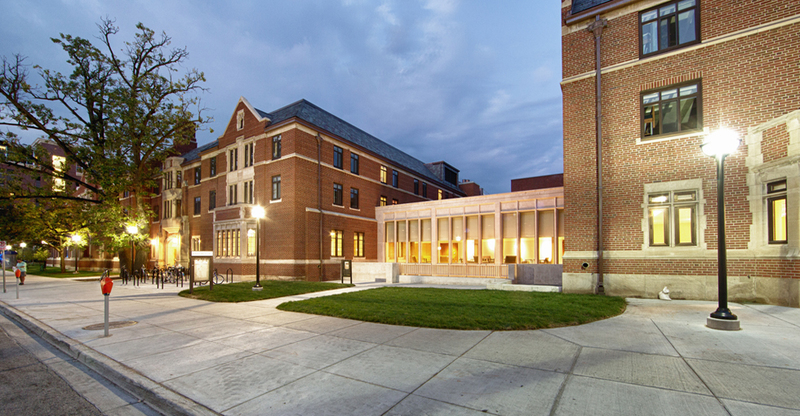 Upgrades incorporate the building’s architectural and historical elements. 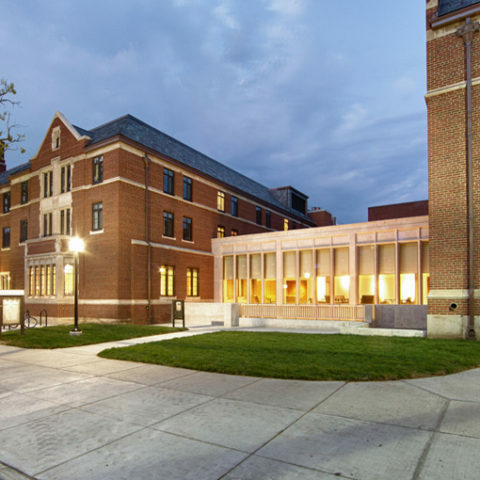 A 15-foot build-out on the west side of the building’s courtyard was used to create an atrium, with the former brick exterior now acting as an interior wall. 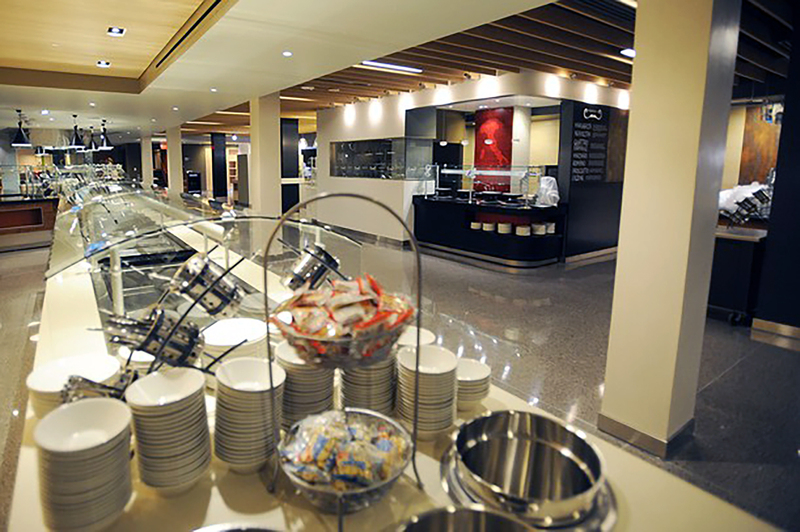 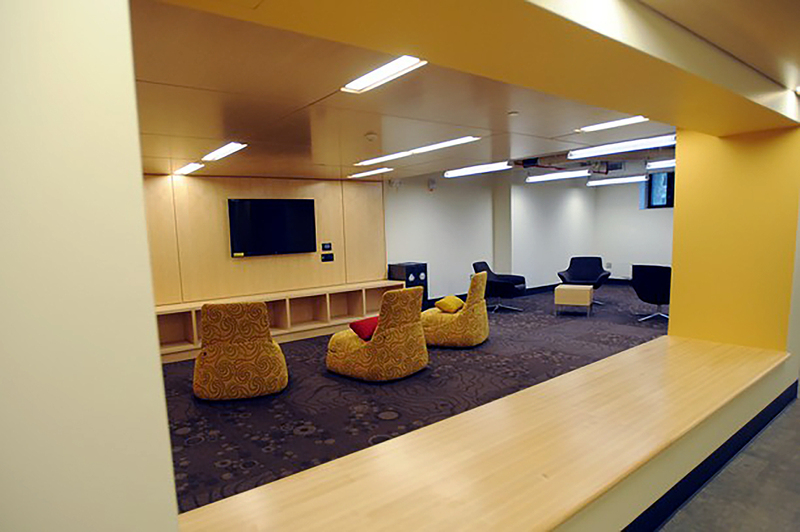 The renovations are contemporary and sleek with a focus on community spaces and study lounges. 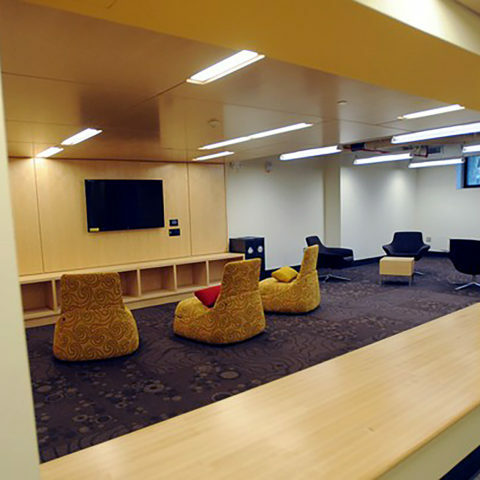 East Quad has about 10 large lounge spaces as well as a computer lab with 27 terminals and study carrels with glass dividers and dry-erase board walls. 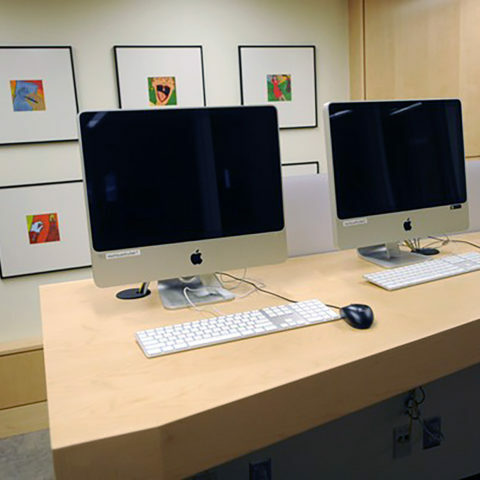 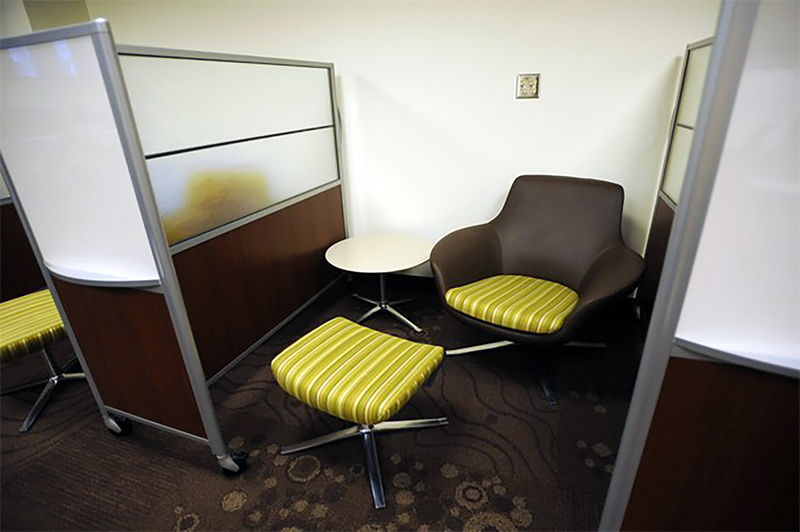 Other study spaces include large wall-mounted monitors that allow multiple students to plug in their computers at one time. 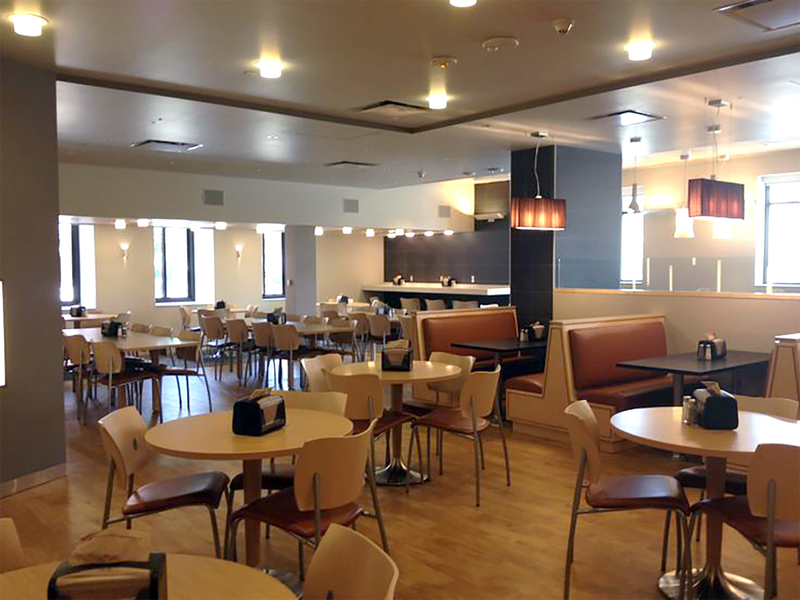 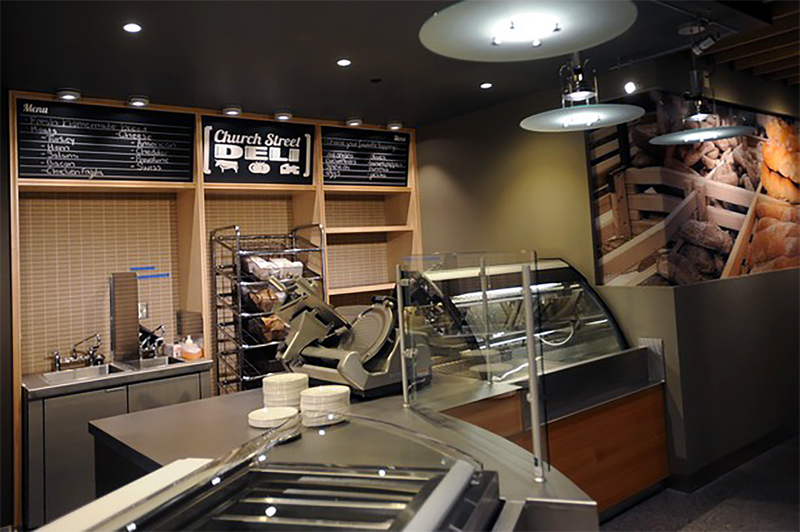 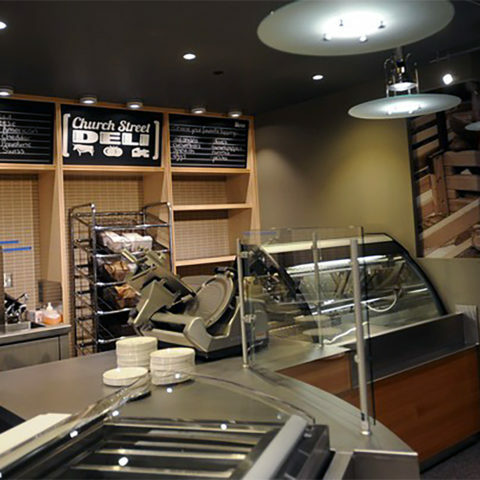 There’s a new cafe area and an overhauled station-style dining hall that is completely trayless to help discourage food waste. 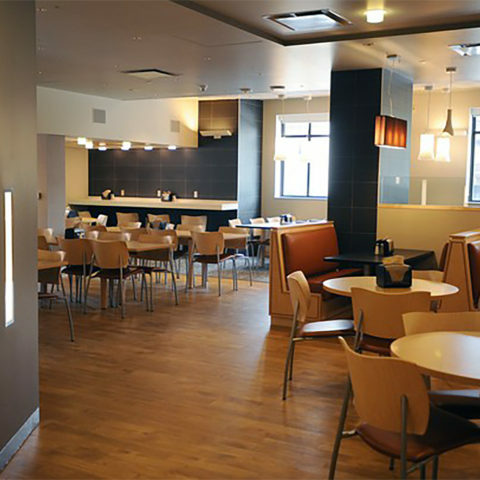 The seating area offers both booths and tables. 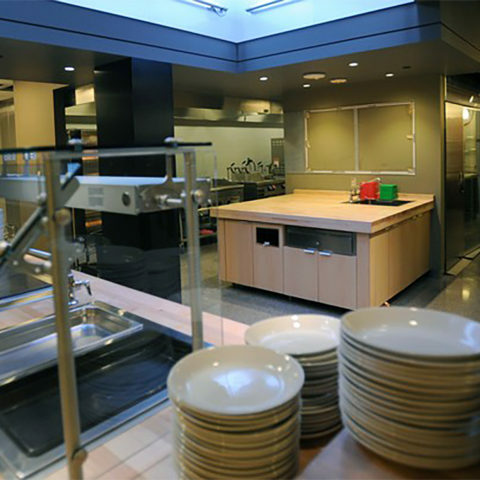 The kitchen is equipped with modern appliances that feature computerized controls. 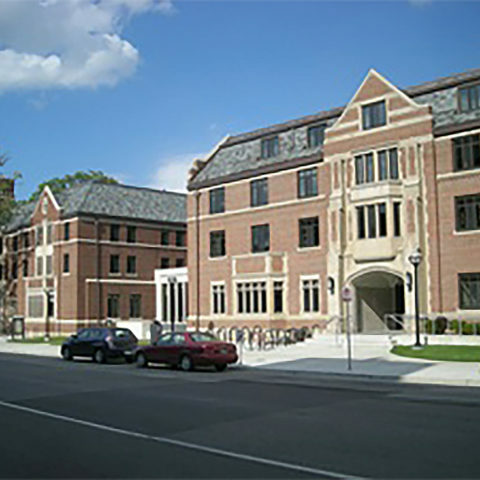 Along with the aesthetic upgrades, the building’s infrastructure was also improved. 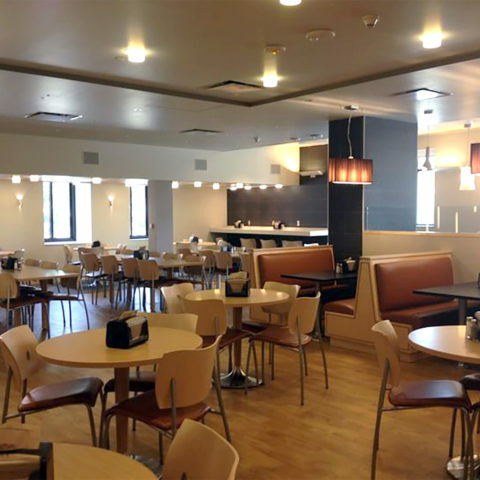 Electrical, plumbing, heating, and ventilation systems were replaced and upgraded and a fire suppression system was installed. 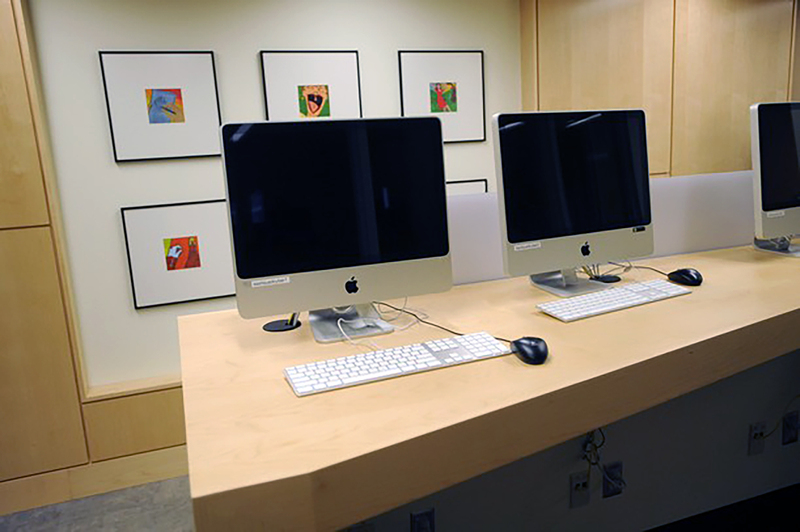 Air conditioning and wireless network access were added throughout the building, which was also brought up to accessibility standards. 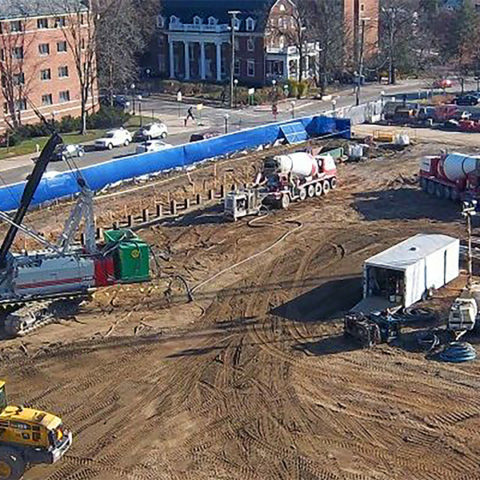 Huron Valley Electric performed more than $15 million of electrical work for the project working for contractors Walbridge, A.Z. 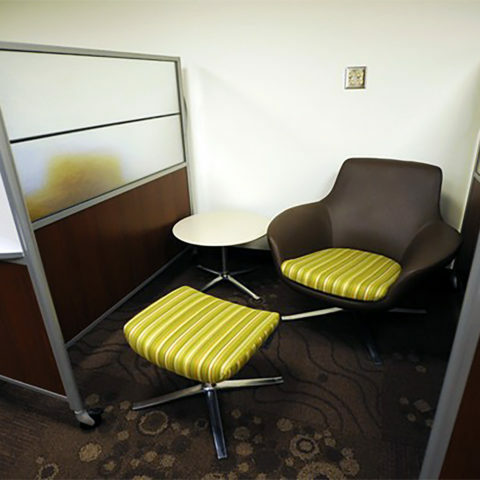 Shmina, Johnson Controls, and John Darr Mechanical.